With a couple of months to go, companies are in the process of finalizing their marketing strategies for next year. This is the time for you to set up a marketing budget for 2018. Influencer marketing continues to increase in popularity, which will continue next year too. If you have not made it an integral part of your marketing, perhaps you should re-evaluate your strategy. Here are 85 compelling influencer marketing statistics, bound to make you reconsider your strategy. 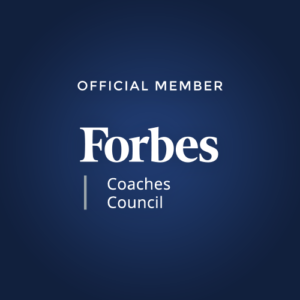 In case you have already incorporated it in your strategy for 2018, this will reinforce your decision. #1. 70% of millennial consumers are influenced by the recommendations of their peers in buying decisions. A survey conducted by Collective Bias involving 14,000 respondents in the US, reveals this influencer marketing statistic. #2. The same survey reveals that 30% of consumers are more likely to buy a product recommended by a non-celebrity blogger. Consumers can relate more to these influencers and value their opinions more than that of celebrity influencers. #3. Facebook is the most influential social channel per the results of the survey. 19% of consumer purchase decisions are influenced by Facebook posts. #4. Just 3% of consumers are influenced by celebrity endorsements in their product purchase decisions. This is one of the influencer marketing statistics discovered in the Collective Bias survey. #5. YouTube seems to be the second most influential social media platform for purchases. 18% of consumers are influenced by YouTube regarding their purchases. #6. The survey also reveals the amount of influence that the major marketing channels have. The ones with the least influence are digital ads (4.5%), print ads (4.7%), and TV ads (7.4%). #7. Per this survey, Twitter has less than 2% influence on consumer buying decisions and is the least influential social channel. 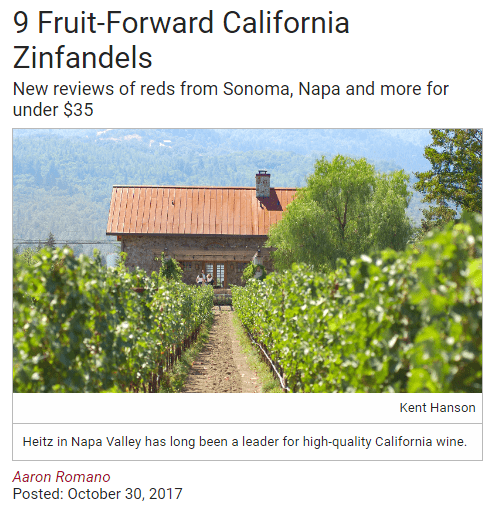 #8. 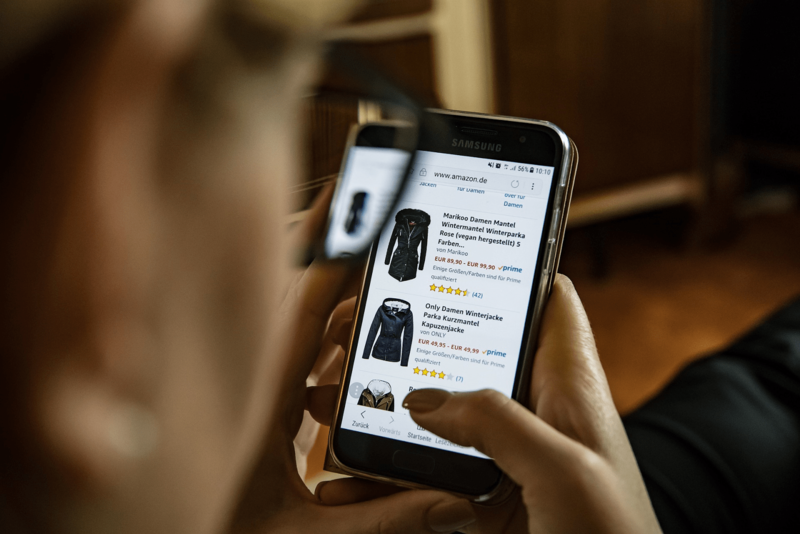 While shopping at a store, 60% of consumers have been influenced by a social media post or a blog review. This is according to the Collective Bias study. #9. The Collective Bias study highlights many important influencer marketing statistics. It shows that 22.8% of men are influenced by YouTube in their buying decisions. #10. The same study also reveals that YouTube influences only 13.9% of women on their purchases. So depending on your target audiences, you can decide the channel that is likely to be most effective. #11. 34.4% of men and 15.4% of women are influenced by blog reviews for consumer electronics purchases. #12. According to this study, men are 2x more likely than women to be influenced by blog reviews while shopping in-store. #13. A survey by Mars Petcare reveals that 30% of pet owners follow and engage with social media celebrity animals. This is one of the powerful influencer marketing statistics that indicates celebrity pets can be used effectively by petcare brands. #14. 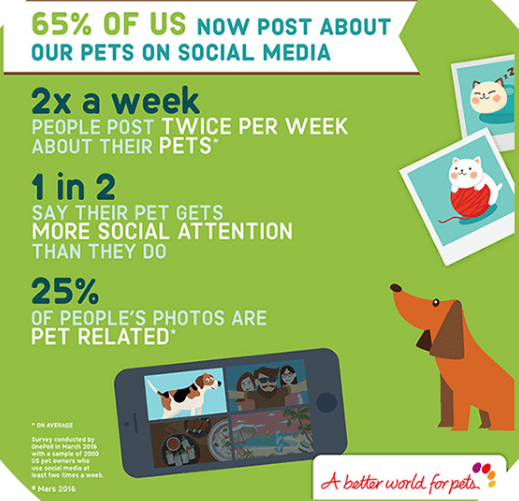 The study shows that 65% of owners post about their pets on social media twice a week on an average. #15. 50% of pet owners who post about their pets on social media have reported that pets get more attention than them. 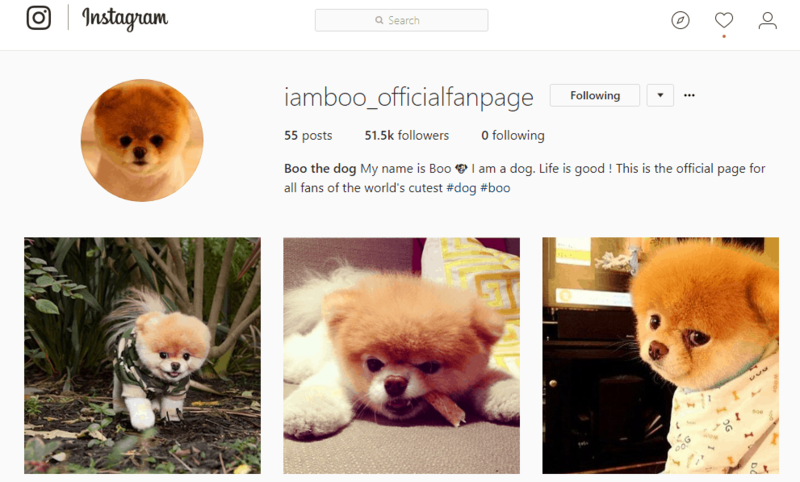 The Mars study reveals interesting influencer marketing statistics associated with fan pages of pets. It shows that pets are a really important part of our culture. Marketers can leverage pets effectively. #16. Twitter partnered with Annalect to research influencers on the platform. This study has revealed some very interesting influencer marketing statistics. For example, 56% of consumers are influenced by their friends and peers on their purchases. #17. The study also revealed that tweets from brands increase the purchase intent by 2.7X. This is in comparison with the purchase intent of audiences who haven’t engaged with such tweets. #18. When these were coupled with tweets from influencers, the purchase intent increased by 5.2X in the study. #19. The Twitter research also shows how much consumers depend on influencers for product recommendations. It is seen that 49% of consumers rely on product recommendations shared by influencers for their purchases. #20. More than 50% of Twitter users follow musicians’ and actors’ accounts. Their reach continues to be the highest. However, the study reveals that people follow them for entertainment and not for product recommendations. #21. ⅓ of Twitter audiences follow and engage with social media celebrities and influencers. #22. Some of these influencer marketing statistics can help you target millennials in a better way. People aged between 13 and 24 are 2X more likely to evaluate influencers based on follower count than older audiences. #23. People aged 45 and above follow a variety of influencers and prefer household names. #24. 40% of Twitter users follow brands and 60% of them do so to know about their products. So brands are actually more influential than celebrities as per the Twitter study. #25. Almost 40% of Twitter users have purchased a product as a direct consequence of an influencer tweet. #26. 20% of Twitter users are likely to share a product recommendation tweeted by an influencer. This is one of the most powerful influencer statistics that shows the value of influencers on Twitter. #28. 3% of moms are brand loyal and not influenced by advertising or celebrity endorsements in their buying decisions. Moms are most loyal to beverage brands per the study. #29. A study by Google shows that 70% of teenage YouTube audiences are influenced more by YouTubers than traditional celebrities. #30. 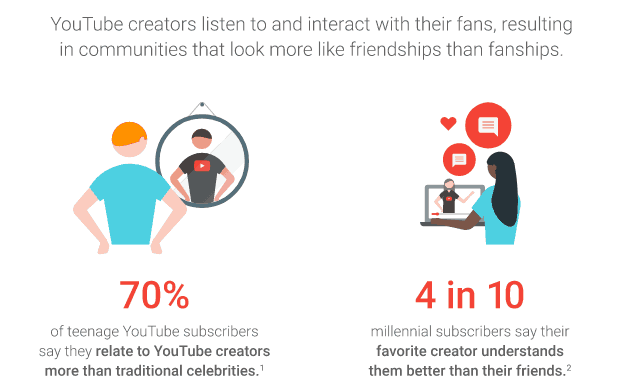 40% of millennial YouTube audiences feel that their favorite YouTubers understand them better than their friends. #31. The Google study reveals interesting celebrity vs influencer marketing statistics. It shows that fans are much more engaged by influencers than celebrities. Top YouTubers get 3X more views on their videos as compared to celebrities. #32. 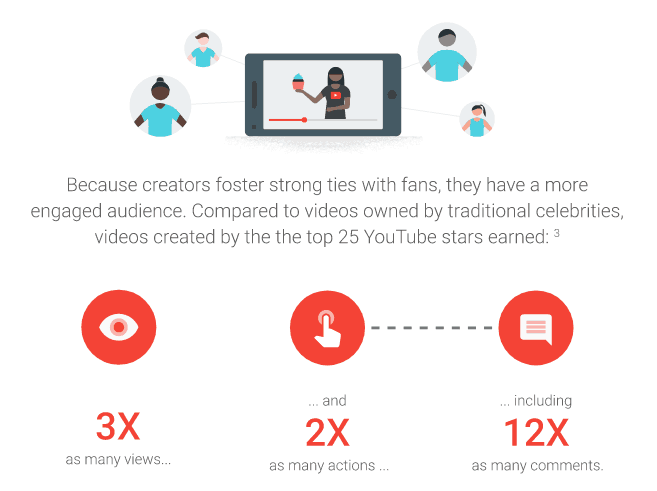 The Top 25 YouTube stars get 2X more engagement and 12X more comments than traditional celebrities. #33. 70% of YouTube audiences believe that YouTube stars are trendsetters. This makes them powerful influencers for consumers. #34. 60% of audiences on YouTube are influenced by YouTube stars on their purchases than celebrities. #35. Influencer Central surveyed more than 400 women consumers to understand their purchase behavior. The results suggest strong social media influence on their buying behavior. Mom bloggers rank at #3 when it comes to influencing purchase decisions. #36. Favorite Instagrammers rank at #6 in influencing buying behavior for consumers, per the study. #37. It also indicates that recipes shared on social media are the #1 influencer for grocery shopping. #38. 81% of consumers are known to frequently buy the items they’ve seen being shared on social media. #39. 94% of consumers buy new food ingredients, influenced by social media recipes or photos. #40. 81% of consumers are influenced by product reviews in their buying behavior, per this study. Leveraging these influencer marketing statistics in your strategy can help you improve conversions. #41. Social media is used as a key source of research when making a purchase by 86% of women shoppers. #42. Crowdtap conducted a study to analyze the way influencers approach their partnerships with brands. It provides some interesting influencer marketing statistics that marketers can use to improve their efforts. For example, 76% of influencers value brands that provide them with creative freedom. #43. It also shows that 67% of influencers are keen to work with brands that provide them with competitive compensation. #44. 47% of influencers would like to work with brands whose values are in alignment with theirs. #45. Another 47% of influencers have reported that editorial guidelines shared by brands are often very limiting in this study. #46. Bloglovin’ surveyed a large number of micro-influencers which reveals many interesting influencer marketing statistics for marketers. 89% of micro-influencers in this survey said that they post content on blogging platforms such as WordPress or Blogspot. #47. Instagram seems to be the popular choice for micro-influencers. 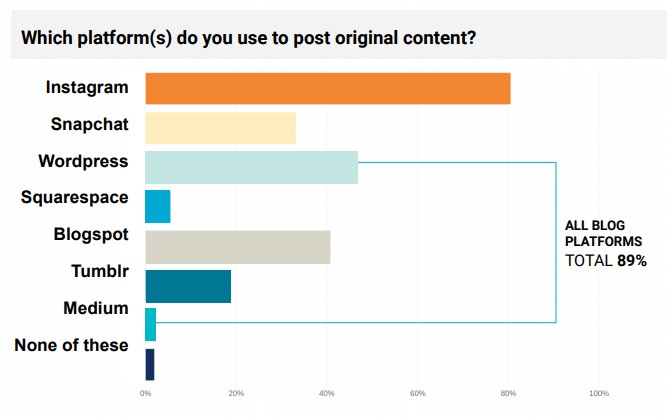 80% of them said that they use Instagram to post original content. #48. The survey also found another interesting influencer marketing statistic about Instagram. 59% of micro-influencers have reported it to be the most effective medium for engaging their audiences. #49. 53% of micro-influencers in this survey said that they have never used any sort of paid promotion for their content. #50. Blogs and Instagram seem to be the popular choice for brands per this survey. 54% of the respondents mentioned that they use blogs for sponsored posts. #51. 42% of micro-influencers in the survey said that they use Instagram for sponsored posts. #52. An interesting metric that was revealed by this survey is about the cost involved in running influencer campaigns. Only 25% of respondents thought that brands have a realistic idea of costs. #53. 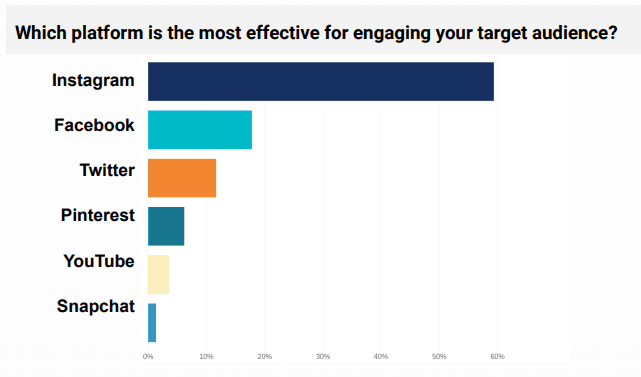 84% of the survey respondents said that they charge lesser than $250 for a sponsored post on Instagram. #54. Also, 97% of the survey respondents said that they charge lesser than $500 for a sponsored Instagram post. #55. For a sponsored blog post, 87% of the survey respondents reported charging lesser than $500. #56. Also, 96% of the survey respondents reported charging lesser than $1000 for a single sponsored blog post. #57. For Facebook posts, 90% of the survey respondents reported charging lesser than $250 for a sponsored post. #58. Also, 96% of them said that they charge lesser than $500 for every sponsored post on Facebook. These crucial influencer marketing statistics can help you determine the cost of your next campaign. #59. Twitter posts costs are even lower as revealed in the survey. 90% of respondents reported charging lesser than $150 for every sponsored tweet. #60. Also, 96% of them reported charging lesser than $200 for a sponsored post on Twitter. #61. Markerly analyzed more than 800,000 Instagram accounts most of them having more than 1000 followers. These are some of the influencer marketing statistics gathered from this study. Influencers on Instagram having lower than 1000 followers get their audiences to like their posts 8% of the time. #62. 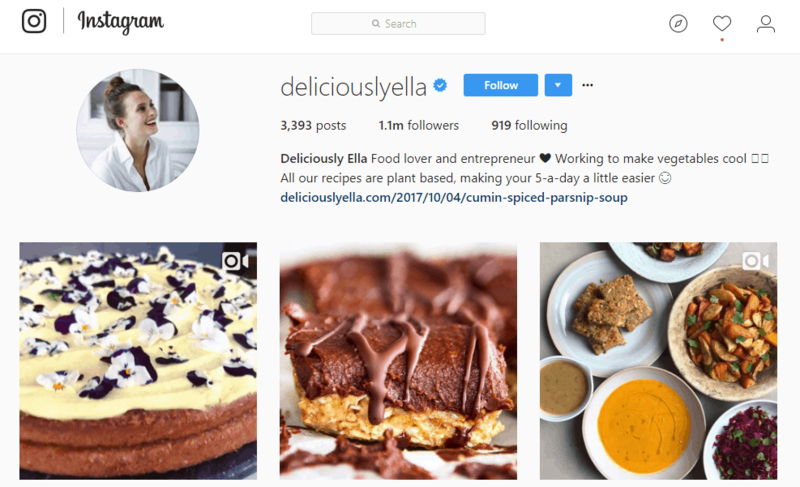 Instagram influencers with 10 million+ followers get their audiences to like their posts 1.6% of the time. #63. Influencers having lower than 1000 followers on Instagram, get their audiences to comment 0.5% of the time. #64. Also, Instagram influencers with 10 million+ followers get their audiences to comment 0.04% of the time. #65. Influencer marketing generates 11X more ROI than traditional forms of marketing, shows a study by TapInfluence and Nielsen Catalina Solutions. #66. PageFair’s Ad Blocker report shows that the use of ad blockers have increased by30% in 2016. This makes it even more difficult for traditional advertising to yield results. #67. The PageFair report also says that 11% of internet users worldwide have enabled ad blockers on their computers. #68. Another study of influencer marketing statistics by Linqia shows that 94% of marketers have found it to be effective in 2016. #69. This has paved the way for influencer marketing budgets to be doubled in 2017. In fact, 39% of marketers plan to increase their budget in 2018. #70. The same study shows that 46% of marketers run between 2-5 influencer programs per year per brand. And, 30% of them run more than five programs per year per brand. These influencer marketing statistics clearly acknowledge the popularity of influencers. #71. If you read this report full of influencer marketing statistics, you will see that marketers are working with more influencers these days. 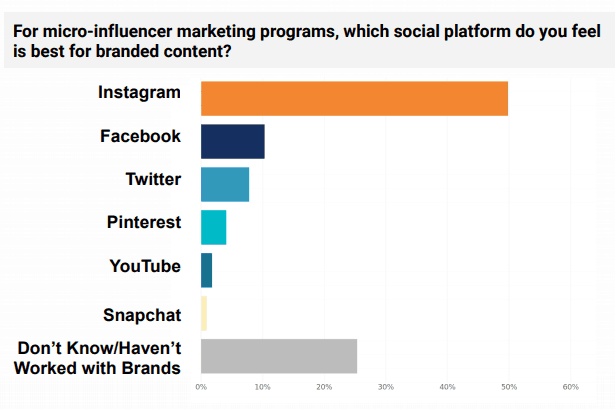 About 24% of them work with 25-30 influencers per program. #72. About 62% of marketers work with more than 10 influencers per program. #73. 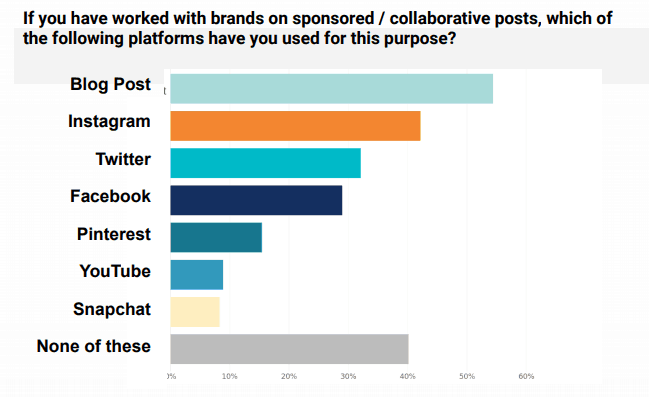 Snapchat and Twitter are considered the least important platforms for influencer collaborations in 2018. However, Instagram continues to be the most important channel for running influencer campaigns. #74. Influencer Marketing Hub conducted a study showing an increase of 325% in Google searches for “influencer marketing” in a year. This influencer marketing statistic indicates the growing popularity of this marketing strategy. #75. In the same study, leveraging influencer collaborations was ranked #1 at being the fastest online customer-acquisition method. 28% of respondents ranked it at the first position. #76. 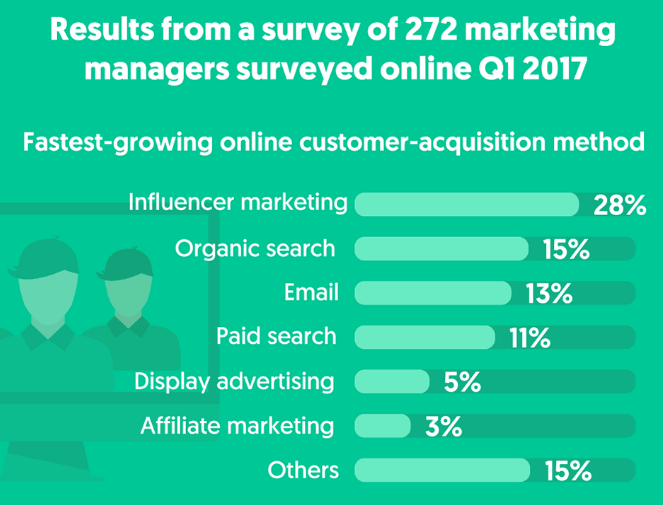 The study reveals that influencer marketing is 2X faster in acquiring customers than organic searches. #77. 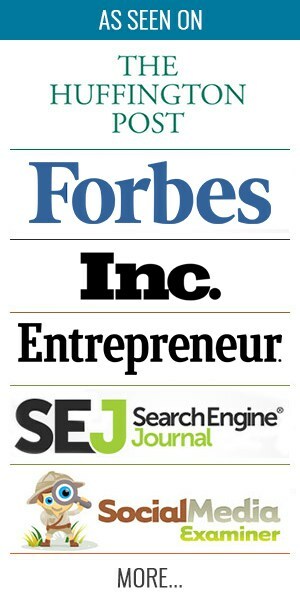 It is also 10X more effective than affiliate marketing in new customer acquisition online. #78. 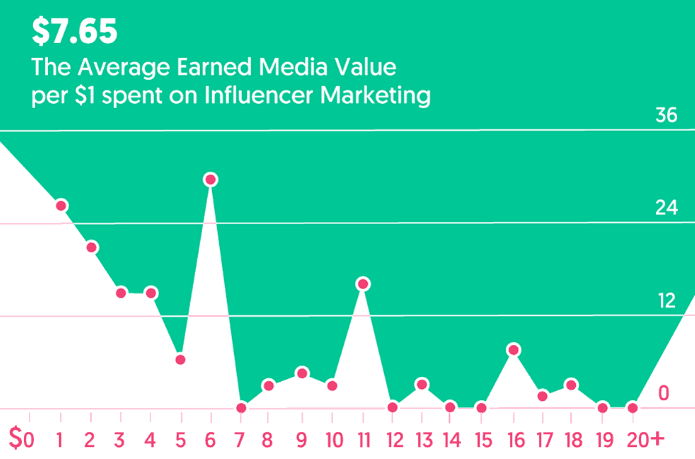 For every $1 spent on influencer campaigns, companies are earning $7.65 on an average. Some companies are even earning more than $20 for every dollar they spend. #79. 57% of the respondents have said that they have stand-alone budgets for content marketing. Also, 37% of marketers in the survey said that they set aside budgets for influencer marketing too. #80. Two-thirds of the respondents in the survey have indicated that they plan on increasing their spendings on influencer collaborations. #81. Influencers are great content creators. 51% of marketers admit that influencer-created content outperforms brand-created content. #82. In fact, 81% of marketers leverage influencer-created content on other marketing channels. #83. The same study of influencer marketing statistics shows that 85% of marketers would like to repurpose influencer content. #84. Influencer collaborations have helped many brands grow. But, 76% of marketers still struggle to measure the effectiveness of their influencer campaigns. They cite is as the #1 challenge of 2018. #85. 42% of marketers are concerned about the changing social algorithms that reduce the visibility of influencer content. They rank it as the #2 challenge of the year. The key to a successful influencer campaign is selecting the right influencer. If you aren’t quite sure if your influencer is right for you, an influencer audit can help you. An audit can determine if your influencer has the right amount of influence required for the success of your campaign. You can get in touch with me for a free consultation to help you. Can you think of any more of such staggering influencer marketing statistics? I’d love to know them, so please feel free to share them in the comments below. Thanks for the helpful and easy to understand article. These comprehensive information has brought us a lot of insight and helped us a lot in our work. Glad you enjoyed the article Sarah!